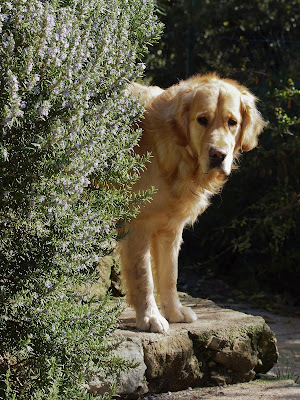 This gorgeous two and a half year old Golden Retriever lives in Menton - and in England. His other half is Hettie, a Border Terrier and you'll meet her in a couple of days. 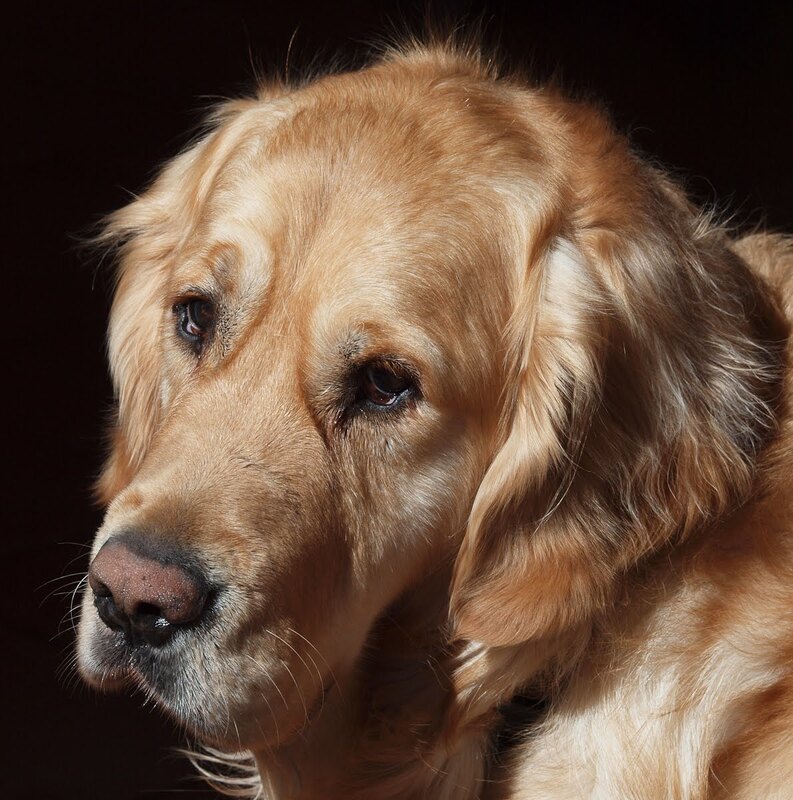 I've never met a more polite and kind Golden. He is so gentle and for a young dog, incredibly calm. When he is excited he picks up a dog bed in his mouth and brings it to you! In my place, this meant an awful lot of dog beds got moved around! 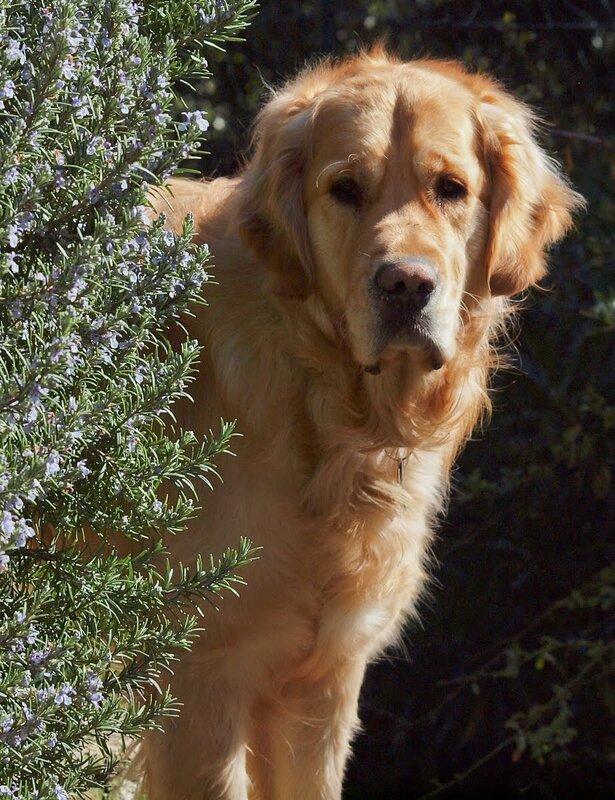 Gorgeous and regal looking dog, he does look calm in his eyes. I wonder in dog language giving you the 'gift' of the bed means? Would love to really hear what the animals are thinking & saying, if you know what I mean. Joanny, I read somewhere that a dog is excited to see you and wants to play but really I don't know. I love coming by this website. How people can abuse these sweetheart animals is beyond my comprehension. I've always had a soft spot for Golden Retrievers. Never owned one. Would love to see Harry with a dog bed in his mouth.